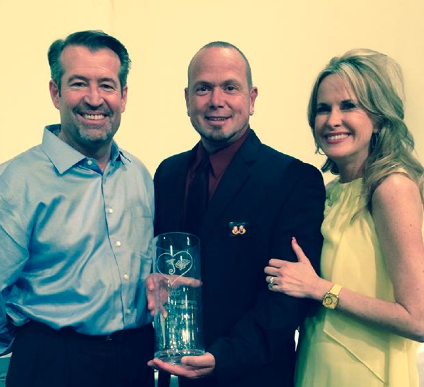 Paul DeMello was awarded the 2015 Joshua Collingsworth Memorial Foundation Water Safety Advocacy Award. Paul has been a wonderful supporter of the foundation and amazing water safety partner who founded the family foundation Just Against Children Drowning (JACD). JACD was incorporated on April 2nd, 2010 after the tragic drowning of Paul’s 12-month-old twins Joshua and Christian DeMello. Paul’s hope through JACD is that through spreading awareness and being able to financially help when needed, they can help prevent similar events from happening. Paul strongly believes and recommends that every home with a pool needs to have a baby barrier (even if you don’t have children yourself) along with the proper supervision at all times. Paul also promotes swimming lessons at a very young age and CPR knowledge as a last resort just in case of an emergency situation. JACD partners with the DCF fence company to provide pool fences for families that do not have one installed. Paul resides in Port Charlotte, FL. 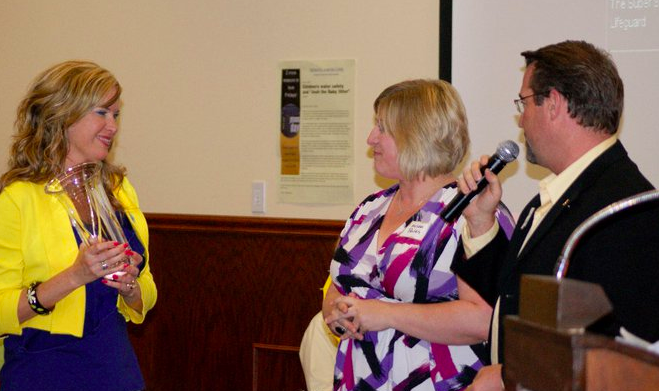 Cheryll Peterson-Brachle was awarded the 2015 Joshua Collingsworth Memorial Foundation Float 4 Life Educator Award. Cheryll was chosen for her outstanding efforts spearheading the Float 4 Life and Josh the Otter programs with the City of Omaha Parks and Recreation Dept in collaborating with JCMF and Children’s Hospital and Medical Center. Paige Swenson was awarded the 2015 Joshua Collingsworth Memorial Foundation Volunteer of the Year Award for her incredible service and commitment to the foundation’s water safety efforts. 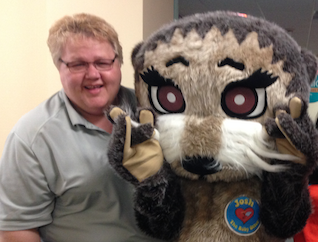 She has volunteered countless hours to ensure that children and families are able to hear the life-saving message of Josh the Otter. Mary Ann Downing was awarded the 2014 Joshua Collingsworth Memorial Foundation Water Safety Advocacy Award. Mary has been a wonderful supporter of the foundation and amazing water safety advocate across the country. She is known as the “Pool Safety Mom” and on the Board of Directors for the National Drowning Prevention Alliance. She resides in San Diego, CA. Ashley Spitsnogle was awarded the 2014 Joshua Collingsworth Memorial Foundation Volunteer of the Year Award for her incredible service and commitment to the foundation’s water safety efforts. 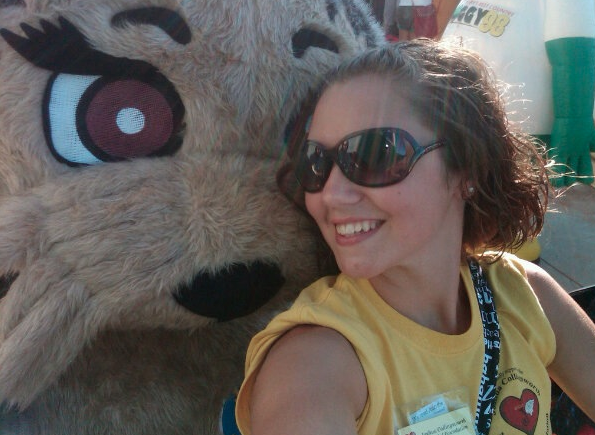 She has volunteered countless hours as the Josh the Otter mascot to help spread the life-saving message of Josh the Otter. Ashley Spitsnogle is the Art Director for JCMF and is the illustrated for the “Josh the Baby Otter” book. 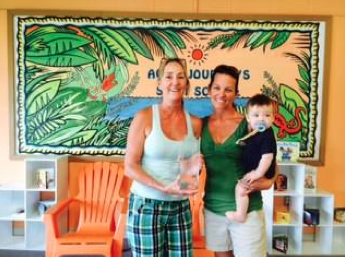 Kathy Appell was awarded the 2014 Joshua Collingsworth Memorial Foundation Float 4 Life Educator Award for her wonderful efforts to ensure that children and adults learn to float and swim. 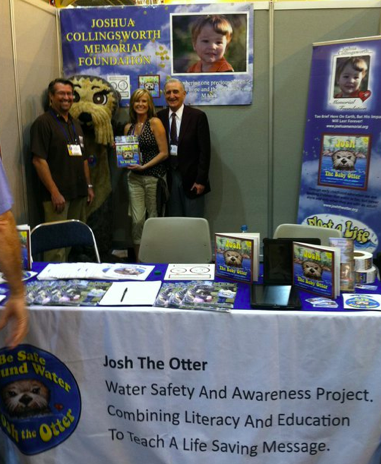 Kathy is the owner of Aqua Journey’s Swim School in Ormond Beach, FL and has fully embraced the Josh the Otter Water Safety and Awareness Project. 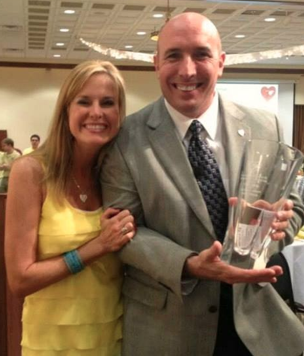 Mario Vittone was awarded the 2013 Joshua Collingsworth Memorial Foundation Water Safety and Advocacy Award. 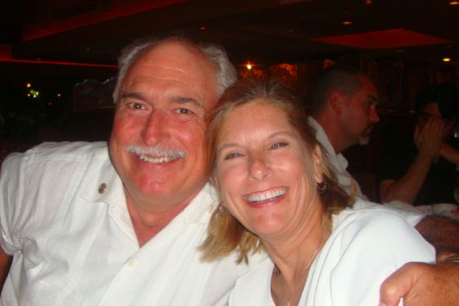 Mario is a recently retired USCG Rescue Swimmer who serves on the JCMF Board of Directors. He has been a wonderful advocate for the foundation and water safety worldwide through his service, writing, and leadership. Mario resides in Virginia Beach, Virginia. DezaRae Bruce was awarded the 2013 Joshua Collingsworth Memorial Foundation Volunteer of the Year Award for her incredible service and commitment to the foundation’s water safety efforts. She has volunteered countless hours to ensure that children and families are able to hear the life-saving message of Josh the Otter. 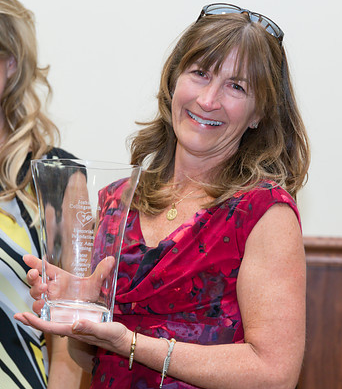 Debbie Koenig was awarded the 2013 Joshua Collingsworth Memorial Foundation Float 4 Life Educator Award for her efforts to ensure that children and adults learn to float and swim. Debbie is the owner of Debbie’s Swim School in the San Francisco area and has fully embraced the Josh the Otter Water Safety and Awareness Project. She purchased her own Josh the Otter mascot suit to continue to educate young children with the “Josh the Baby Otter” book in her area. We are grateful for Debbie’s service and partnership with the foundation! 2013 JCMF Volunteer Award Winners for Over 25 Hours of Service! Twelve year old Joshua Thompson is very excited about his upcoming participation in the 2011 Alcatraz and Golden Gate Bridge swims, which he will be swimming in honor of the Joshua Collingsworth Memorial Foundation. 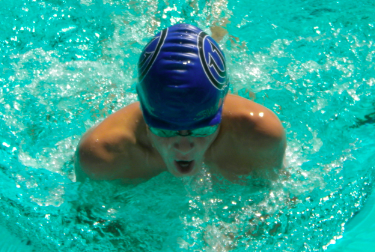 He is a very strong swimmer (his relay set 3 state records and he finished 2nd in AZ in the 1650 Free with a time that put him in the top 25 in the country, among other things!) and he’s got a great heart for what our organization is all about. Joshua’s organization, the F.A.S.T. Foundation, has a mission that is Kids Saving Kids, we want to leverage the skills of competitive swimmers to reach out to other young people about the important of water safety and the danger that water presents in a variety of drowning prevention programs. 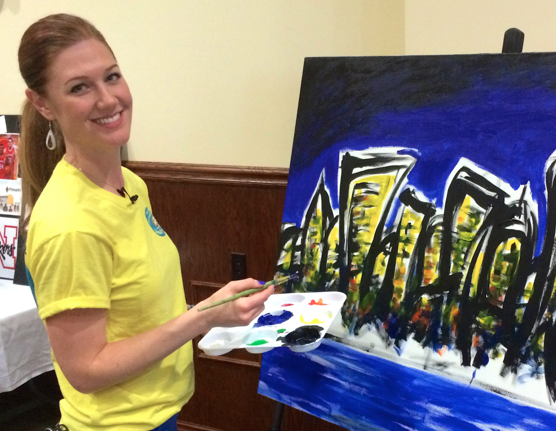 Katie has been a wonderful advocacy leader for the foundation by using her talent of running. In 2010, Katie raised over $1,000.00 for the Joshua Collingsworth Memorial Foundation by running in the 2010 Lincoln Marathon. Her reason for running the half marathon was to decrease the number of accidental drowning deaths among children. She helped raise awareness of the importance of water safety and to raise funds to support the Joshua Collingsworth Memorial Foundation. 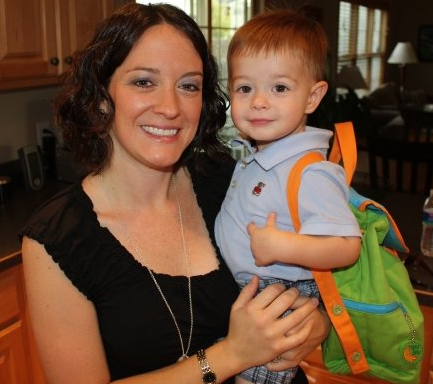 Katie’s son Vincent was one of the first Float 4 Life students in Lincoln, NE at nine months old. Now at 2 1/2 Vincent swims like a great litter otter! 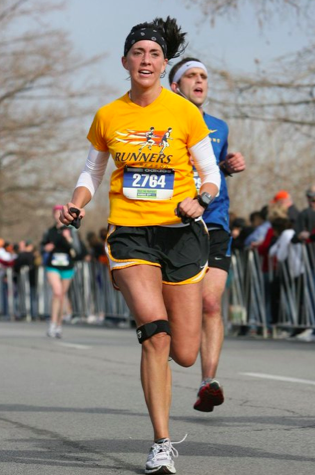 Because Ashley believes in the importance of what they are doing, she has committed to running 3 races over a 7 week span this spring – the Rock the Parkway ½ Marathon in Kansas City on April 2, the Lincoln ½ Marathon on May 1 and the grand finale, the Fargo Full Marathon on May 21. 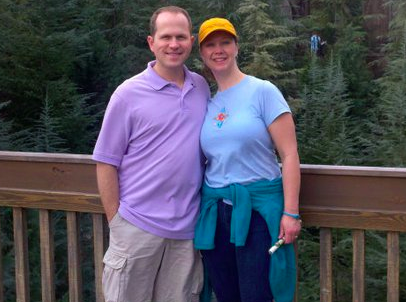 She will be running all 3 races in Josh’s name and am hoping supporters will help her honor him and decrease the number of accidental drowning deaths among children by sponsoring me with a donation. The money she raises will go to the Joshua Collingsworth Memorial Foundation, with a portion of it going to Runners With A Reason. RWAR is a non-profit that encourages runners to run for something that is important to them. Her “reason” keeps me motivated to train each week and will push me to complete my races on April 2, May 1 and May 21. Kylie Kotouc was awarded the 2011 Joshua Collingsworth Memorial Foundation Volunteer of the Year! 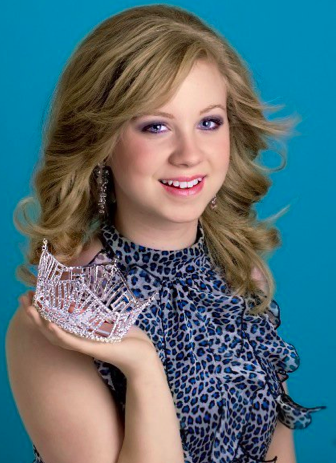 She is the 2010 Miss Nebraska Junior Queen through the Nebraska National Teenager Scholarshp Organization. 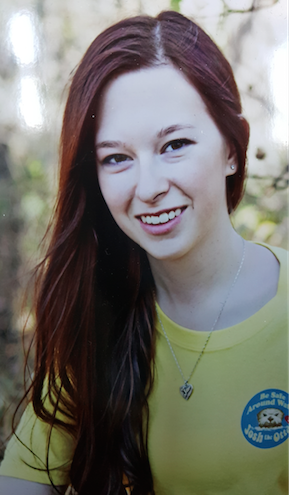 Throughout her reign, Kylie volunteered with many organizations but her chosen platform was to advocate for water safety through the Joshua Collingsworth Memorial Foundation. She is a wonderful addition to our volunteer crew! Jim is a member of the foundation board and a strong advocate for water safety. He received the “Joshua Collingsworth Memorial Foundation 2010 Water Safety and Awareness Advocacy Award” for his outstanding work with spreading Josh the Otter Water Safety & Awareness Project to thousands of children in Florida with the help of many local Rotary clubs. 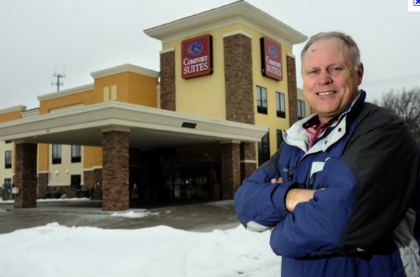 He is a retired three star Admiral of the United States Coast Guard and we are grateful to have him on our team. Nicole, Joshua’s aunt and the foundation’s Volunteer Coordinator received the “Joshua Collingsworth Memorial Foundation 2010 Volunteer of the Year Award” for her dedication in serving the Joshua Collingsworth Memorial Foundation. Her committment to spreading water safety & drowning prevention to local communities through the foundation is evident in her unwavering volunteer service! Mary received the “Joshua Collingsworth Memorial Foundation 2010 Float 4 Life Educator Award” for her excellent ability to teach children life-saving water skills through the foundation’s Float4Life program. Mary teaches these classes at the Lincoln, NE Cooper YMCA. She has taught for over two years and continues to engage children in water safety & the joy of swimming. Kerry is Joshua’s aunt and on the foundation’s board. She received the “Joshua Collingsworth Memorial Foundation 2010 2nd Annual Memorial Benefit Award” for her dedication her time and effort to all of the foundation’s events, including the Annual Memorial Benefit. The Annual Memorial Benefit is the largest fundraiser for the foundation and the proceeds go directly to reaching as many children about water safety with Josh the Otter Water Safety & Awareness Project. John and Tami received the “Joshua Collingsworth Memorial Foundation 2010 Float 4 Life Award” for their dedicated support for the Float 4 Life program! Through their generosity they donated, at no cost to the foundation or instructors, three of their hotel pools in order for many children to receive infant and toddler water training in Lincoln, NE. 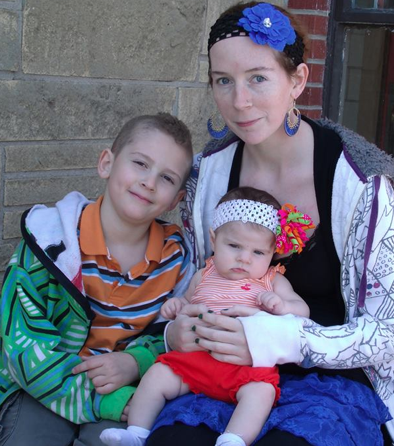 Melissa Pavlish was awarded the 2011 Joshua Collingsworth Memorial Foundation Float 4 Life Award. She played a pivotal role in bringing infant and toddler water safety training to the Float 4 Life Programs to Lincoln, NE and now Omaha, NE. Her dedication to the program has resulted in over 900 children taking these classes. We commend Melissa for her efforts & we appreciate her partnership! 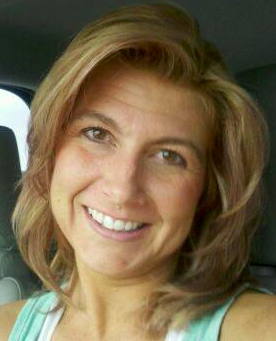 Jodi Sheets was awarded the 2011 Joshua Collingsworth Memorial Foundation Float 4 Life Educator Award. Jodi is a strong advocate for infant and toddler water training. She has partnered with the foundation to help teach children live saving water skills & will continue to play an important role as the foundation grows its efforts in expanding these classes across the country. Louis Venuti was awarded the 2011 Joshua Collingsworth Memorial Foundation Water Safety & Awareness Advocacy Award. Rotary District 6930 Governor Louis Venuti has been instrumental in furthering the adoption of the Josh the Otter Project throughout East Central Florida counties. Recognizing the value of the Merritt Island Breakfast Rotary Club’s initial program, he quickly moved to adopt this on a District wide level, supporting participating clubs with a simplified matching grant, to allow them to purchase the materials for this project at a reduced cost to members, and directly leading to the distribution of over 5000 books. Then seizing the opportunities as they presented themselves, he was instrumental in gaining Josh the Otter project recognition at the Zone 34 Conference of Governors which included all Governors-Elect for the Southeastern United States; at the Presidents Elect Training Seminar (PETS) representing all incoming Club Presidents in the State of Florida; and finally, endorsing and supporting the Joshua Collingsworth Memorial Foundation to have one of only 134 booths at the Rotary International Convention’s House of Friendship in New Orleans…which included 30,000 Rotarians participating from around the world! 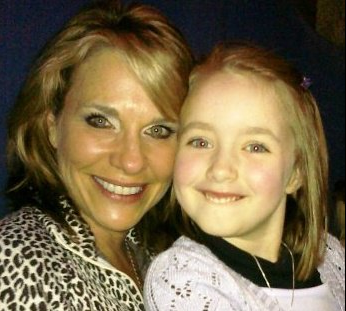 Holli is the 2012 Joshua Collingsworth Memorial Foundation Volunteer of the Year Award Winner! She is an amazing advocate for the foundation and a trustworthy volunteer. She has served the foundation for well over 25 hours of her time. She is a true example of the positive change we can bring to a community to help reduce childhood drowning. Patrick is a valuable part of the JCMF family and was awarded the 2012 JCMF Water Safety Advocacy Award. His dedication and willingness to help at multiple volunteer events for the foundation is just one of many services he provides for the foundation. From being Josh the Otter to helping with the various yearly fundraisers, Patrick is an amazing asset to JCMF. 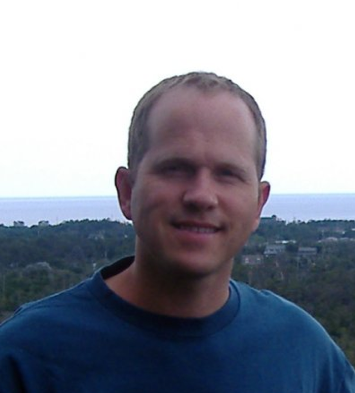 Patrick is Kathy Collingsworth’s brother and uncle to Joshua Collingsworth. Tricia Kasper was awarded the 2012 Joshua Collingsworth Memorial Foundation’s Float4Life Award for her dedication to infant and toddler water training courses. She has been a great advocate in the Lincoln, NE community and has helped many children learn the basic water safety skills to keep them safe in and around water. 2012 JCMF Volunteer Award Winners for Over 25 Hours of Service!